With a kilo of supermarket beans gifted after a fund raiser I thought I should try to put them to good use before throwing them out. I think the results are fairly predictable and it is clear that if you want the cleanest brew the Aeropress filter is the best option. 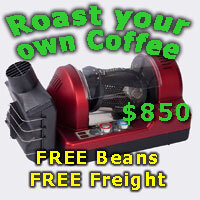 The IMS 35 micron is close but you will be needing to give it a Caffeto bath frequently, because it quickly clogs up. 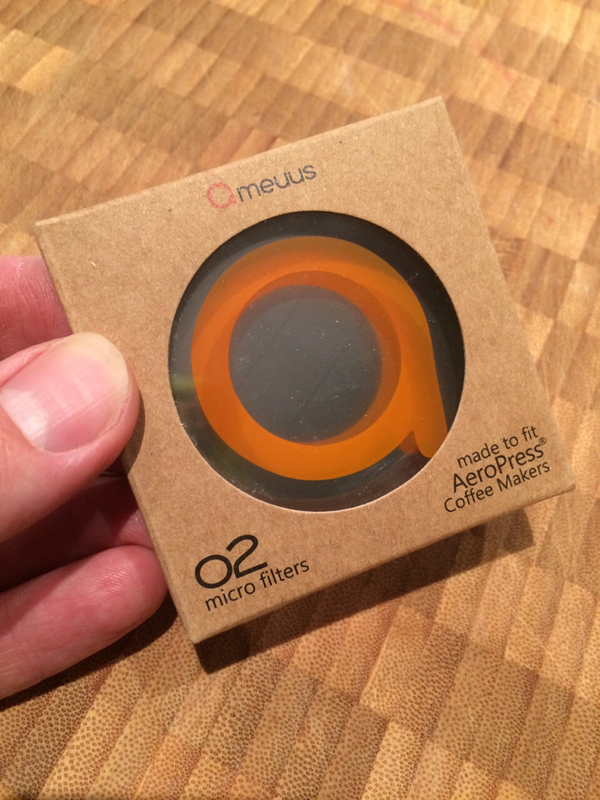 The Aeropress is more convenient and you can buy a lot of 350 filter packs for the price of an IMS filter! It was not practical to place an Aeropress filter behind the Prismo metal filter, so I had to take a brew and run it through the Aeropress. I don't think all of the fines were filtered the second time, so this probably appears clearer than it really is. Dimal, simonsk8r and level3ninja like this. Cool experiment to run. Interesting to see the results, even if there’s no surprises. I pretty much always default to either 1 or 2 paper filters as I think that creates the sort of brew that I like to make with the Aeropress. I’ve also got an RGB and a Kaffeologie S Filter. The RGB is pretty much a spare that I don’t rate. The S Filter does a great job if you want something with a bit more body. I’ve got an Ameuus on the way via Kickstarter. That’ll be interesting to try. It's kind of a relief LeroyC to know there is another out there with gadgetitis as far as Aeropress accessories are concerned. I'm also waiting on the Ameuus set which look interesting. They look as though they will be easier to clean than the IMS filter, while still getting a result close to the paper filters. Yeah I’m looking forward to it too. I’m not really interested in a metal filter that replicates the paper filters as I’m quite happy using 1 or 2 paper filters for a clean brew. However a metal filter that goes close could be awesome as it will hopefully produce a cup with a bit more body, but still plenty of sweetness and brightness. This is where I’m hoping the O2 will sit. The only other filters I’ve tried are another RGB model and a fairly generic one (the first Able maybe? ), both of which are gone now as they were unimpressive. 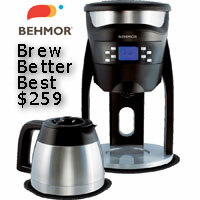 I actually use my Oomph more than my AP these days as I love the brew it makes. I didn’t bother with the Prismo as I just don’t see the point really. The Aeropress does what it does really well, I don’t get why people want to eke pretend ‘espresso’ out of it. The Puck Puck on the other hand looks very interesting and I might have to grab one at some stage. Hey Otago, do you mind commenting on the grind you used? Was is determined by one particular filter or what you used for the AP in general? Also did you change the grind and see any differences (in terms of taste with each filter or residues in second filter paper)? The grind was 8 marks from zero on the Lido 3, which is mid drip range and the dose was the same for all filters. The exercise was merely to give a visual indication of the amount of sediment bypassing each filter for that dose. Trying to determine the best taste outcome across that number of filters is beyond my capacities. Sorry, but I'm not Socratic Coffee. 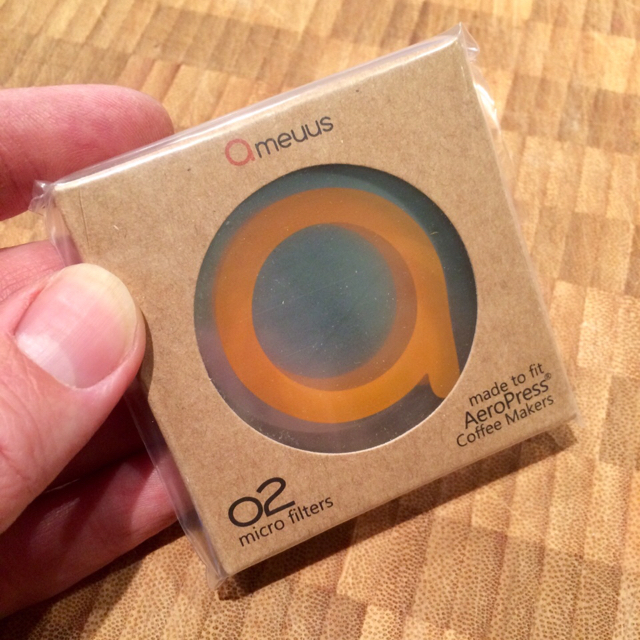 My Ameuus o2 filters arrived during the week. I haven’t had a chance to try them yet, but will get to do so today. I’m looking forward to it and will report back. It’s a very nice looking little kit, although having metal filters that are almost as soft as paper is slightly unnerving. Looking forward to your thoughts. Mine mustn't be far away. 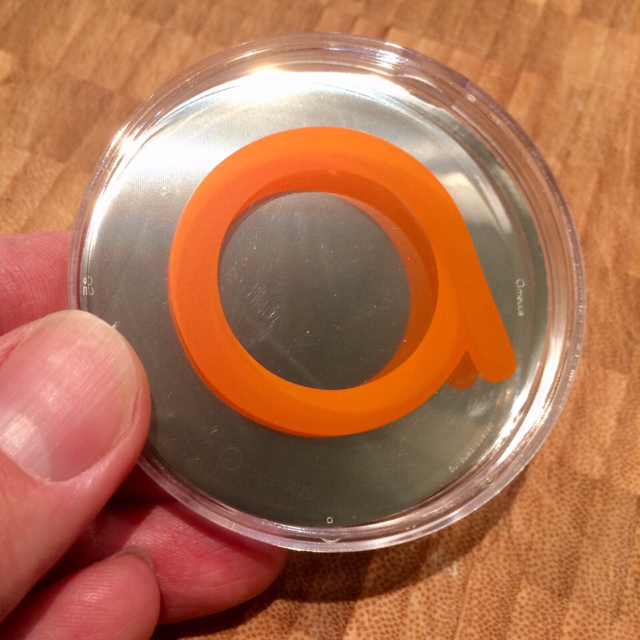 Although you say it's a nice looking kit, a recent posting by Alcheng88 on Instagram had a bamboo stirrer covering the tail on the orange logo, which left one wondering why he thought a nicely packaged orange condom should be featured amongst his coffee gear. Last edited by Otago; 24th February 2019 at 11:22 PM.